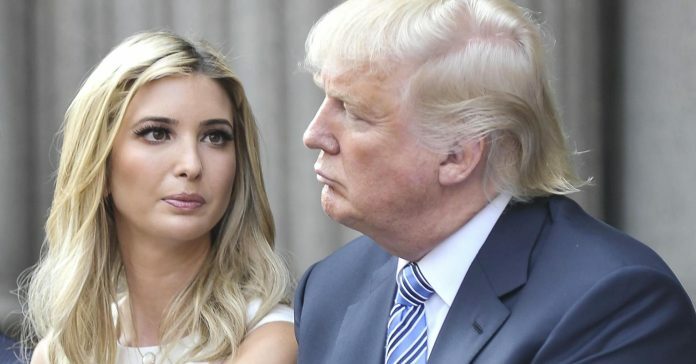 Washington, Jul 1 (AP) Ivanka Trump has been vocal in using her White House role to advocate for women. But when President Donald Trump lobbed a demeaning attack on a female TV host on Twitter this week, his daughter and senior adviser kept quiet. It was a moment of silence that spoke to the challenges and calculations Ivanka Trump faces as she tries to promote family-friendly policies in an administration led by a man whose comments about women have made women cringe and drawn bipartisan rebuke. In recent weeks, the younger Trump has discussed family leave with lawmakers, traveled to promote job-training efforts and spoken out against human trafficking. She’s also tried to position herself as above the political fray, saying in one interview that she tries to “stay out of politics” and in another that she’s been surprised by the “level of viciousness” in Washington politics. The tussle between her father and “Morning Joe” co-hosts Mika Brzezinski and Joe Scarborough offered a pointed reminder to Ivanka Trump that this is a city where it’s impossible to separate policy and politics. The MSNBC hosts, in a Washington Post column yesterday, called on women close to the president to condemn him for questioning Brzezinski’s intelligence and saying that she was “bleeding badly from a face-lift” in a December encounter. “It would be the height of hypocrisy to claim the mantle of women’s empowerment while allowing a family member to continue such abusive conduct,” Brzezinski and Scarborough wrote. Ivanka Trump did not respond to questions about the president’s tweet or how it affects her policy efforts. While she has won some praise for trying to tackle complex issues that are not traditionally high on the Republican agenda, such as paid family leave and child care expenses, liberal advocates said her recent evasion tactics were not helpful in building bipartisan bridges. “Moments like this make it much harder for advocates that have spent decades fighting gender stereotypes and discrimination and advancing women’s equality to view her as a potential ally,” said Vicki Shabo, vice president of the National Partnership for Women & Families.